Dr. Reagan: Carl, how did you get involved in writing this particular book about the prophecy of Rabbi Kaduri? I mean, why you of all the people in the world? Carl Gallups: I believe, of course, as I do with so much of my life, that the Lord's hand was in this. Ultimately, of course, as you would believe, God has anointed this work. But humanly, practically, logistically speaking, the way it came about was because I previously wrote the book The Magic Man in the Sky. WND Books is my publisher and the book was such a great success and God still uses it, praise the Lord. In the meantime I was doing some other writing and I'm still writing some other materials and books. But, I got a call from Joseph Farah who is the President of WND Books. He felt like the Lord had really put on his heart that the Kaduri story had to be told. Dr. Reagan: The Jews were actually trying to cover up the Kaduri story, weren't they? Carl Gallups: That's right. The story was nixed. It was covered up. It was buried once the revelation of who Kaduri claimed the Messiah was all came out. So, Mr. Farah said, "This story has to be told." He said, "No one has written a book on it. There is no documentary movie on this. There is nothing except for the little tidbits of pieces here and there." Dr. Reagan: You had put together a little video about Kaduri beforehand, hadn't you? Carl Gallups: I had, and that's what the Lord used to get Joseph Farah's attention. Dr. Reagan: Your video went viral on the Internet, didn't it? Carl Gallups: It did. I made a video in 2008 I think about this story. It was a little documentary video put it on the PPSIMMONS News and Ministry Network site. It went viral with millions of hits between playing my video and that video being pulled down and embedded all over the internet. Mr. Farah told me, "When I was researching this I kept on seeing your video showing up everywhere, and your name. I realized this guy writes for us. He's one of our authors." And so, he called me up and asked, "Would you be interested in taking this project on? And, if you do it correctly, I would like to make it into a documentary movie." So I replied, "I would love to do that." Dr. Reagan: He asked you very specifically to take a particular approach to it as an investigative journalist rather than as a biased Baptist pastor writing, didn't he? Carl Gallups: Yes, that's right. Dr. Reagan: Farah wanted your book on Kaduri to be something that people would see as very balanced, isn't that correct? Tell us about it. Carl Gallups: That's absolutely correct. That's my heart too, because we didn't want this book to be preachy. We didn't want it to sound like a Baptist book about a Jewish rabbi, and it doesn't and it's not, and I didn't approach it that way. I approached it using the gifts that God has given me and my writing skills. Dr. Reagan: You were a former investigative police office? Carl Gallups: That's right. I was in law enforcement for ten years and did quite a bit of investigations, so I can see where God has used all of that in this. Plus, I have been an investigator of the Scriptures for 30 years as a pastor, preacher, and prophecy conference teacher. Dr. Reagan: Well, I want to say you succeeded, because when you start reading this book you get this odd feeling of where this may be going. Nathan Jones: Yes, I at first was wondering, "Is he endorsing Kabbalah?" It was like, "Wait a minute! What is going on here?" Dr. Reagan: It was because you were very objective in the way you presented this material. Carl Gallups: Thank you, I tried to be. First of all, I had no desire to harm the legacy and memory of Rabbi Kaduri among his people or among anybody, because he was a great man and he ministered to his people. Secondly, we just wanted the story told because the media covered it up, people in Israel covered it up, and I just can't stand that. You have to tell it. This is a huge story. So, I did indeed approach Kaduri's story as a journalist. The book is also heavily referenced, heavily documented, and resourced. It has little fictional narratives intertwined to make it interesting, and it flows along, but then it comes to some dramatic revelations at the conclusion. 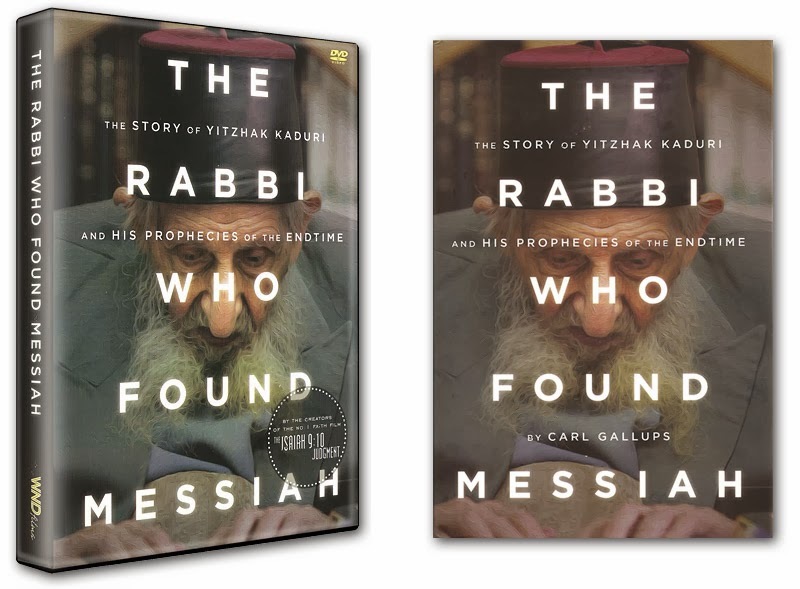 Dr. Reagan: How did Kaduri's Messianic prophecy story ever become public in the first place, since the Orthodox Jews have tried so hard to cover it up? Carl Gallups: Two Israeli news sources initially reported on it. The first was News First Class, which is now called News One. It's totally in the Hebrew language in its reporting. The second source was Israel Today, which is published in 50 languages around the world. It is a Messianic Jewish publication located in Israel, and it has been there for decades, but they also are very journalistic in my opinion. Dr. Reagan: Yes, I read the article when it came out. Carl Gallups: I think Israel Today is very balanced, again in my opinion. They look at it from all sides. These Israeli news outlets reported the Kaduri story when he died and the note was put on his website. There is no doubt they reported it. People even took screen shots of the letter and downloaded it, so there's no denying that the note was on Kaduri's own website at Kaduri.net. Israel Today ran a lengthy, lengthy, article on the story with very balanced interviewing of the people who were the nay sayers, people who didn't like the note or who were trying to say the note was a fraud. Dr. Reagan: I can hardly wait to hear what is in the note. 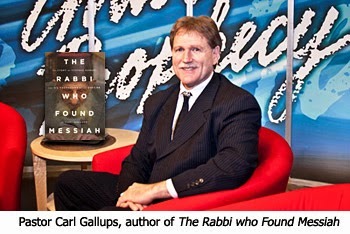 In the third segment of our interview with Pastor Carl Gallups on the amazing claim of the Messiah is by Rabbi Kaduri, the Messiah will be revealed. Article: "He said the Messiah had appeared to him and that the message would contain the Messiah's identity." (I only read the first paragraph as I ordered this DVD and don't want spoilers). The thing that bothers me about that sentence is I always have a uneasy feeling about anyone saying God/Jesus appeared to them or spoke to them, etc. I'm not sure why but it makes me uneasy. Nathan, can you address (without spoilers) why I should be put at ease about such a claim? Billy, that's what Kaduri claimed. We're only reporting on what he said, not endorsing it. Okay, thanks. I'll just wait until I watch the DVD before asking anything else (or not). This is good... really, really good. Of course, I've known the answer for quite a few years now, but to read this account is like going back in time to 2005-06 again. I am waiting for the reference to Romans 11 in all of this too!